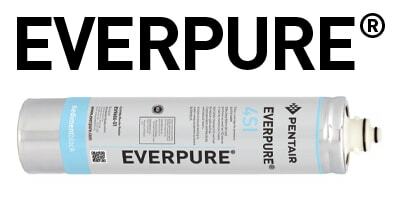 Everpure are one of the most trusted brands in water filtration systems and one of the most recognised brands when it comes to water filters in commercial environments. As well as a wide range of commercial filtration products, Everpure also cater for the residential market, ensuring the best quality water both at work and at home. Being a master distributor for Everpure means we have an extensive range at unbeatable prices. Browse our range below or get in touch if you need some expert advice.